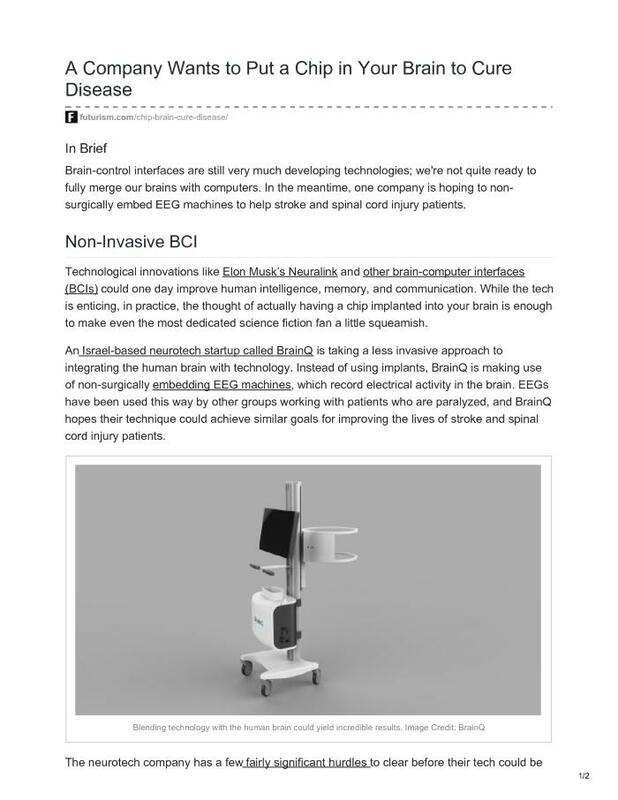 An Israel-based neurotech startup called BrainQ is taking a less invasive approach to integrating the human brain with technology. Instead of using implants, BrainQ is making use of non-surgically embedding EEG machines, which record electrical activity in the brain. EEGs have been used this way by other groups working with patients who are paralyzed, and BrainQ hopes their technique could achieve similar goals for improving the lives of stroke and spinal cord injury patients.